May 14th - 18th we're teaming up with Sharks4Kids (the best shark education organization around) to celebrate amazing women in the shark field. We have a series of Google Hangouts set up with amazing scientists and conservationists who have dedicated their lives to understanding and protecting these incredible predators. It's time to set aside the myths and misconceptions and learn about these amazing marine animals and why they need our protection. The goal of Sharks4Kids is to create a new generation of shark advocates through access to a dynamic range of educational materials. Curriculum, games and activities will allow teachers to integrate shark education into their science programs on an introductory, intermediate or advanced level. Students can access games, activities and info sheets to satisfy their own curiosity about sharks. Photos and videos from scientists and conservationists bring an exciting element into the classroom and show students the beauty of the ocean. Dr. Toby Daly-Engel's Shark Conservation Lab at the Florida Institute of Technology focuses on preserving populations of elasmobranchs (sharks, skates, and rays) and other fishes by studying their molecular ecology and evolution. Dr. Toby grew up in the mountains in upstate New York, but always loved sharks. She got her Masters and PhD at the University of Hawaii using genetics to study shark reproduction, worked on biomonitoring for conservation at the University of West Florida, and is now a professor at the Florida Institute of Technology, which is on the Atlantic Coast of Florida near Cape Canaveral. There, her work focuses broadly on researching the evolution of shark reproduction and dispersal patterns, speciation, and habitat use, in order to more effectively conserve and manage these fascinating creatures. Brit is currently based in Wellington, New Zealand as she works towards her PhD in Marine Biology at Victoria University. Her research focuses on New Zealand shark species that are caught as bycatch in the deep-water fisheries. Her images have gained recognition from National Geographic, Getty Images, and Canada’s leading photography magazine. Born in Italy, Cristina grew up in the rain forests of the African Congo and developed a passion for the outdoors. Coming from a family “of the sea” Cristina developed a love for the water at a very young age and she journeyed to the Bahamas to learn to dive. She made the Bahamas her home and diving her life. Cristina is world renowned for her work with sharks in the wild. She is said to have a natural gift with sharks. Her ability to work with several types of sharks has allowed her to study sharks up close with no stress for the animals. 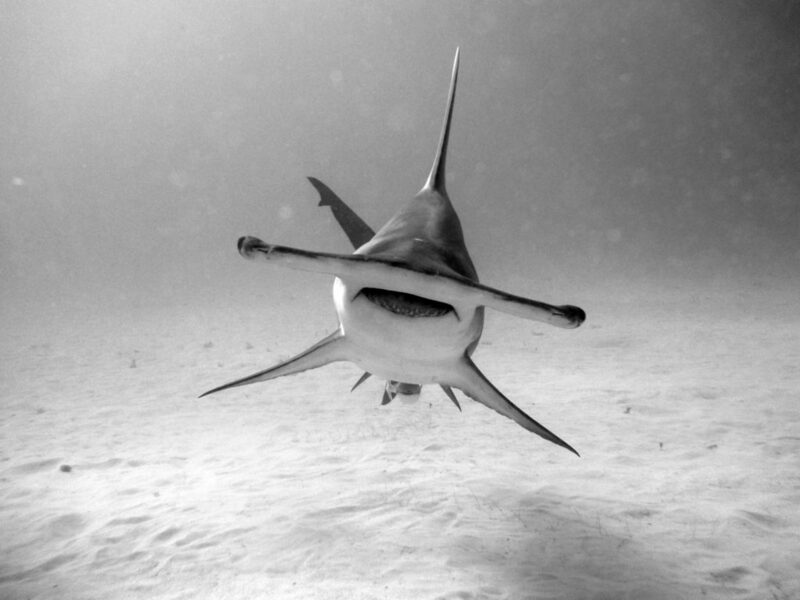 She has developed a Caribbean Reef Shark Awareness Distinctive Specialty and was the initiator of a campaign that resulted in the complete protection for all species of sharks in the entire Bahamas. Cristina is also a highly skilled cave diver, highlighting how we abuse the drinking water beneath our feet. Aquarist Hannah Mark will be demonstrating a behavioural training session with the Ripley's Aquarium of Canada's two female zebra sharks (Stegostoma fasciatum). The session will focus on tactile desensitization training. The ultimate goal is to reduce the stress of physical handling required as part of routine veterinary procedures. By training the sharks to come willingly and allow staff to handle them the need for general anaesthetic and/or to restrain the animals is greatly reduced. Routine procedures we are training the sharks for include physical examinations, blood draws, and ultrasounds. To prepare the sharks they have been trained to allow their trainer to hold them and flip them over onto their backs. 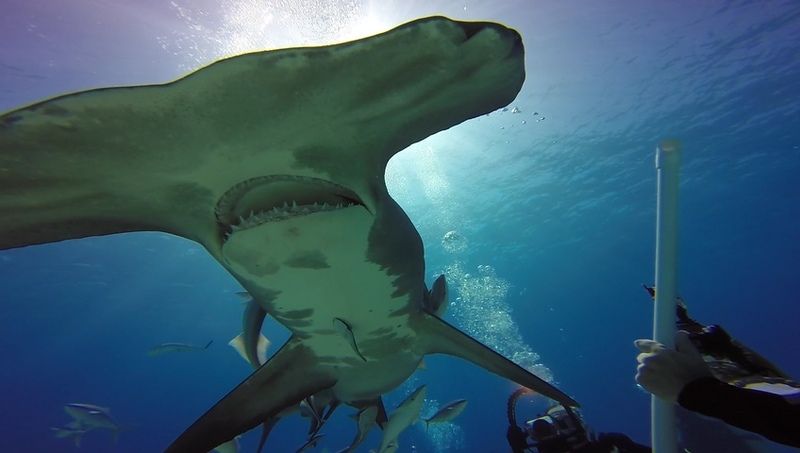 Katie Gledhill has studied sharks and rays around the world. She has a passion for inspiring new shark advocates through science and education. She's been able to work with some amazing and threatened species, such as giant tiger sharks from bottom of the ocean, pregnant lemon sharks moments before they gave birth, critically endangered smalltooth sawfish, and her personal favorite: the endemic catsharks found in South Africa, including wriggling baby catsharks that fit in the palm of your hand moments after they hatched. Kate earned a B.Sc. in coastal and marine ecosystems from the University of Technology in Sydney, Australia. Andrea graduated from the University of South Alabama with her doctorate in Marine Science. She immediately started her postdoctoral research with NOAA on smalltooth sawfish. She has been running the NOAA-SEFSC juvenile smalltooth sawfish abundance survey for two years. Her research involves monitoring the abundance of juvenile smalltooth sawfish within one portion of this species' designated critical habitat in the US (in Everglades National Park and Ten Thousand Islands National Wildlife Refuge), identifying both large- and small-scale movement patterns (satellite and acoustic telemetry), and identifying habitat use (predictive modeling). Since 2012, Lindsay L. Graff has been working in Fiji teaching shark studies college courses and focusing on bull shark research with Broadreach and Beqa Adventure Divers, and she will be returning there again in 2018 to continue her work! While in Fiji, Lindsay set up a baby bull shark tagging program in one of the river systems, and and she loves spending her days diving with 40-60 bull sharks, grey reefs, sicklefin lemons, tawny nurse, whitetip and blacktip sharks! Born in Vermont, Lindsay has undergraduate and graduate degrees in marine biology and shark biology, and her past work has focused on white sharks in South Africa and lemon, tiger and nurse sharks in the Bahamas and Florida. Most recently, Lindsay spent some time stateside and devoted two years to working with Dr. Greg Skomal assisting with his white shark research off the coast of Massachusetts and around Cape Cod. Creative conservationist Asher Jay is an international adventurer whose paintings, sculptures, installations, animations, ad campaigns, and films all have a single purpose: to incite global action on behalf of wildlife conservation. Asher's travels have made her a witness and story-teller; she has combatted illegal wildlife trafficking, promoted habitat sanctuaries, and illuminated humanitarian emergencies. Her core message is about biodiversity loss during the Anthropocene—the “Age of Man”. Born and raised in Maine, Jillian’s love for the ocean started at an early age and has continued to play an integral role in her adult life. She has spent thousands of hours in the field working and diving with sharks across the globe. She is a marine biologist, shark conservationist, avid freediver, scuba instructor, explorer, educator, unabashedly obsessed with sharks and a lover of all things water. She is also the founder of Sharks4Kids, a US nonprofit with the goal of creating the next generation of shark advocates through education, outreach and adventure. Andrea is a National Geographic Explorer and was the first person in the world to complete a PhD on manta rays. After completing her thesis in 2008, Andrea stayed on in Mozambique to spearhead the conservation efforts of this species along this remote coastline. Shortly after she, along with other members of her team she founded the Marine Megafauna Foundation. Almost a decade after her arrival, Andrea’s world-leading manta ray research program continues to examine aspects of their biology, reproductive ecology, habitat use, migrations and social behaviour. Aside from dramatically increasing the level of knowledge on manta rays themselves, Andrea’s discovery of a new giant species of manta ray in 2008 was one of the largest new species to have been described by any scientist in the last 50 years. During her 20-year dive career Andrea has travelled to the ends of the globe both as a scientist, researching sharks and rays, and also as a professional underwater photographer.